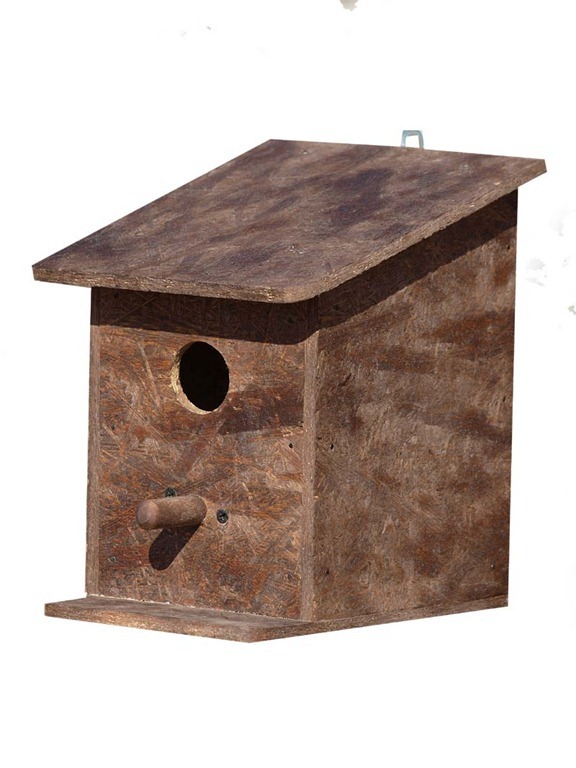 Breeding Bird Shed is made entirely of OSB, which makes it very durable. 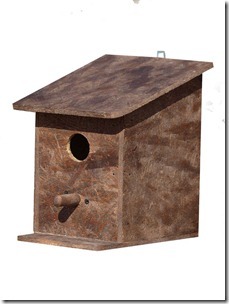 Surface texture looks like bark, causing birds to be happy in their residence. Example dimensions: 13 cm x 20 cm x 13 cm. 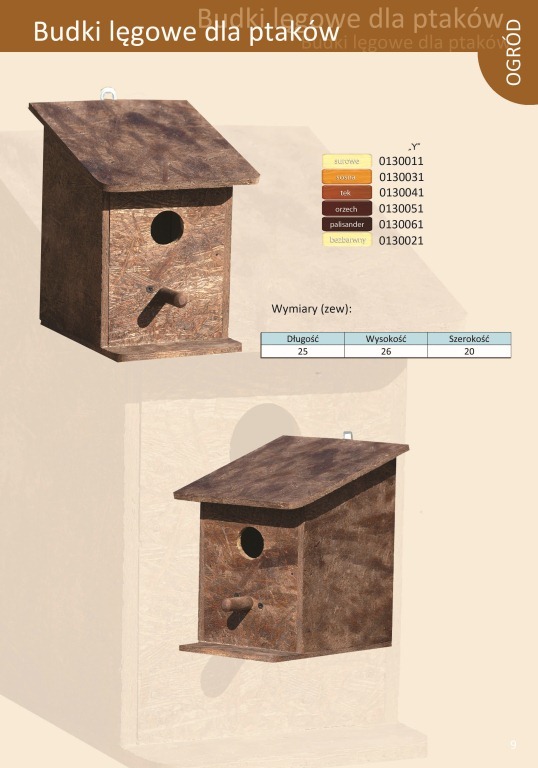 For an additional fee it can be impregnated (6zł) or painted. It can be produced in any size.